As a Realtor (R), I often get asked about professional staging services, particularly when a home is vacant. I get asked questions such as “How much does it cost? How much faster will my house sell? Can I get more money for my house if I stage it?” Below are some tips and things to think about if you are considering staging your home in Edmonton or Sherwood Park before you put it on the market! Tip#1: Hire a professional Stager and request samples of their work – before and after. Professional Stagers receive extensive training on how to select and place furniture, artwork and accessories to make a room more visually appealing to buyers. A Stager can pick out the best assets of a home and use staging techniques to emphasize those features, while drawing the eye away from less desirable ones. Tip #2: Start with a clean, well-maintained home. No house is perfect, but it is important to remember that a dirty house with numerous repairs needed that is staged is a bit like putting lipstick on a pig! You can dress up a room, but if problems are obvious, then it looks like the staging is attempting to hide something, which is NOT what you want! Tip#3: Think of staging is an investment, not an expense. 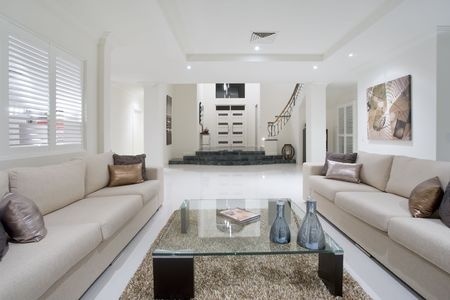 Staging IS expensive – for an average home with a few rooms chosen, expect to pay anywhere from $2000 – $2500. However, in the vast majority of cases, it will help a property sell faster and statistically will sell for 5 – 10% more money! That is a pretty good return on your investment, and also a lot cheaper than a $10,000 price reduction if the house does not sell. Tip#4: Stage for one month and get quality photos. The bulk of the cost of staging lies in the monthly rental fee for furniture and accessories, which is why most builders purchase furnishings for their show homes instead of rent. In most cases, the house will likely sell before the one month is up. In my opinion, you will only need to stage for one month, and you have the photos and/or Virtual Tour already on the MLS. Just make sure the photos are great quality with good lighting. There is no point in spending the money on Staging when the photos are less than professional! Tip #5: Hire a Stager who promotes your property once it is listed. Many Stagers have their own Website and use Social Media to promote the work they do. Make sure your home is promoted – a win-win for all! Do you have further questions about staging your Edmonton or Sherwood Park home, and want to know who the good ones are? Contact me, and I will be happy to help out!